I've noted before that I'm not particularly good at coming up with names for beers. 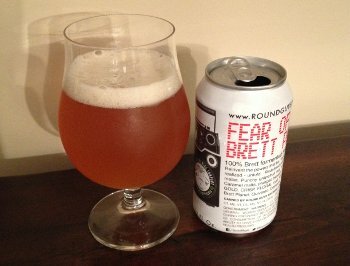 Thanks to Tired Hands' freewheeling attitude towards naming beers, I'm getting better at it and have a few names saved up for upcoming homebrews, but I only need to spy a name like Round Guys' Fear of a Brett Planet to feel woefully inadequate in this department. I don't know how much to read into that name (are the Round Guys saying that Brettanomyces is a minority and that brewers are afraid of organization and empowerment in the yeast community? I don't think I really want to go there (but you just did - ed. )), but it is a spectacularly awesome name for a beer. Beer Nerd Details: 5.1% ABV canned (12 oz). Drank out of a tulip glass on 6/6/14. I'm pretty sure I've had Round Guys' Berliner once, but I've otherwise been neglectful of this local(ish) brewery. I should really check out more of their stuff. 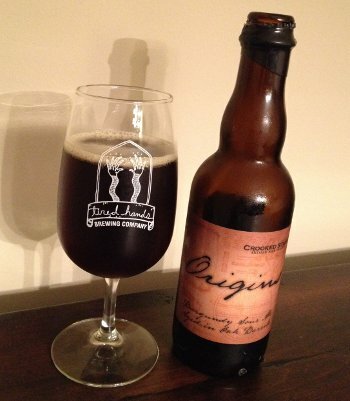 Beer Nerd Details: 4.88% ABV bottled (750 ml caged and corked). 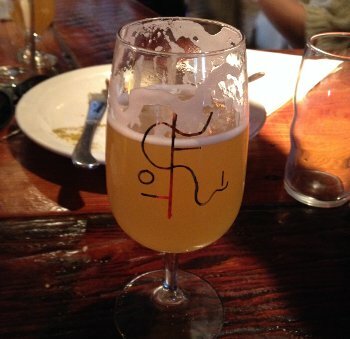 Drank out of a tulip glass on 5/30/14. Vintage: 2013. 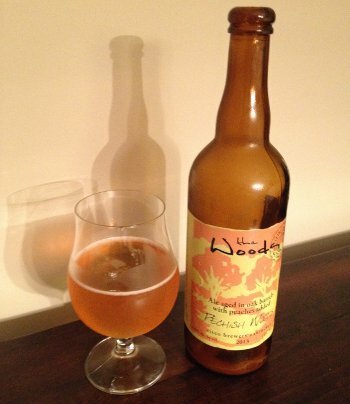 Keep an eye out for The Woods folks, I know I will, and they're worth the stretch. * I am, of course, being facetious here. While I would love to drink more of this beer, I was really happy I got to share it with friends. So what exactly is an "Arker" and what makes this one of the "Huge" variety? My first thought was to go Biblical, and assume it was a reference to one who bulds an ark, and a Huge Arker would be like a fat Noah. The real answer lies in an esoteric jargon invented in the late 19th century by the residents of Boonville, CA, right smack in the middle of Anderson Valley. It's called Boontling and there are differing stories of its origins, though they all seem to come down to a series of word games played by the residents of an isolated farming community. The one that struck a chord with me sez that the children of Boonville created the language as a means to speak freely in front of their parents without being understood. Speaking as someone who has partaken such endeavors when I was a little one (albeit, on a much more limited scale), I can see that sort of thing being more widespread. 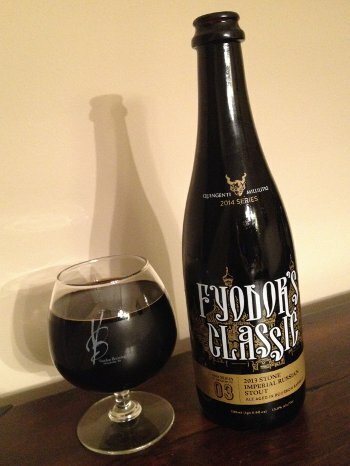 Beer Nerd Details: 13.5% ABV bottled (22 oz bomber). 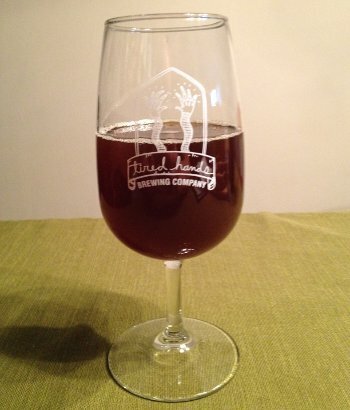 Drank out of a snifter on 5/30/14. Vintage: 2014. Hard to believe that this is my first reviewed Anderson Valley beer, though I know I've had a few of their seasonals before. Interestingly, it looks like the other beers in their Wild Turkey Barl (presumably Boontling for "Barrel") Seris are lower ABV offerings (in the 6-7% range), which could be really interesting. I will be keeping an eye out for those... as I didn't realize what a Bahl Hornin' ("excellent pub") they were. Cascade Brewing out of Oregon has quite the reputation, and we were able to confirm that a couple times last year, to the point where I now blind buy any new bottle I see. 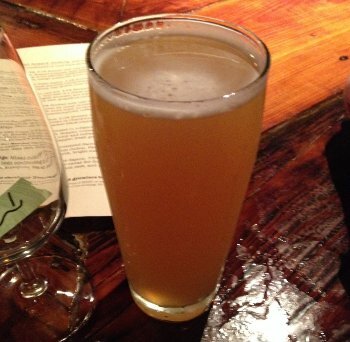 I love the idea of a brewery that got its start specializing in sour beers (rather than the tired old pale ale, amber, and porter lineup that a lot of new breweries roll out). Apparently the folks who started the brewery were sick of the whole "hops arms race" and didn't want to chase the same dragon as pretty much every other brewer out there. So they looked for something that would provide a similar intensity (but without the hops), and thus settled on sour beers. Despite being a rather tiny brewer, they are probably one of the most consistent and largest sour brewers out there, which is saying something. 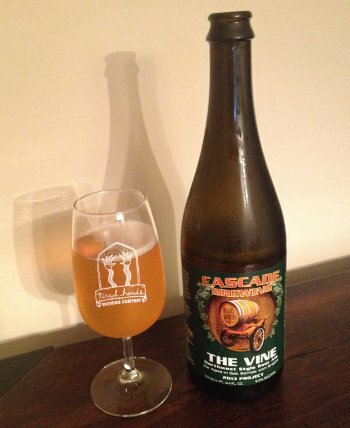 I recently managed to get my greedy paws on a few new bottles (and some old favorites) of Cascade beers, including this one, a blend of strong blond ales aged in barrels with fresh pressed grapes. I could be wrong, but I get the impression that most fruited sours use macerated fruit, not "pressed". I call this out because when I was drinking this, I got a very distinct "grape juice" vibe out of it that seemed uncommon in grape based sours. Beer Nerd Details: 9.3% ABV bottled (750 ml caged and corked). Drank out of a flute on 5/16/14. 2013 vintage. After six long weeks of fermentation (three primary and three secondary), it was finally time to bottle the barleywine and hot damn, it seems to be in rather fantastic shape right now. Add in a little carbonation and this stuff should be prime. Amazing caramel and dark fruit notes, and the bourbon oaked version seems to have taken on more of that character here than my RIS did... Speaking of which, I went with the same approach as the RIS. Primary fermentation was all together, but when I transferred to secondary I split the batch, leaving one alone and adding bourbon soaked oak cubes to the other. At bottling time, I bottled some of the plain barleywine, did a 1:1 blend and bottled some of that, and then the remainder of straight bourbon oaked beer. Also of note, the beer looked really pretty, especially when I held it up to light, a gorgeous dark amber color that isn't quite as prominent in the picture below, but it's still a nice looking beer. Final gravity was somewhere in the 12.6 Bx to 12.7 Bx range for all three variants, which translates to about 1.023. Astute readers may remember that I had reported the gravity as 1.017 when I was racking to secondary, but I must have been reading the Refractometer wrong or something, because there's no way the FG should go up. Regardless, this still represents somewhere around 74% attenuation (and around 9.3% ABV), which is pretty good, and 1.023 should provide a nice rich and chewy mouthfeel without being too overwhelming. The RIS finished at 1.029, which seems awfully high, but which tastes really good, so we should be in good shape. Like I said, this batch smelled and tasted rather awesome even this early in the process, so I can't wait for these to condition in the bottle. I figure I'm in for another 3 weeks or so before it'll be ready, though I'm sure I'll check one of the "transition" bottles (I separated the first couple bottles after each transition from straight barleywine to the bourbon oaked version because of the liquid in the tubing made for an inconsistent blend, though I'm sure the beer will be fine). At this point, I'm unsure if I'll do another batch before the heat of summer really kicks in. If I do, it may just be a small 4% saison for the keg. Next fall, I'm planning on doing a Scotch Ale (perhaps with a similar bourbon oak treatment) and maybe something like a black IPA (or whatever the heck you call that stuff). 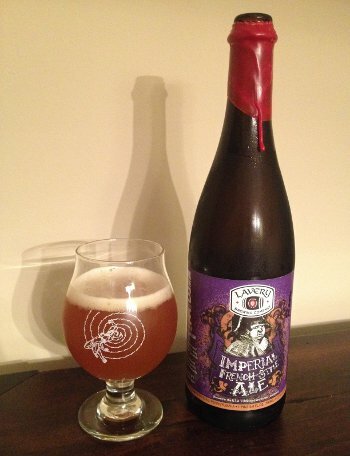 I also want to give the Imperial Red ale another chance someday. But for now, I've got a few cases of barleywine and stout to work through, which should last me a while (and quite honestly, I'd much rather free up those bottles than scrape the labels off these other ones because damn, that's an annoying process). The Icon Series is Texas brewer Saint Arnold's experimental line, a chance to try one off beers unlike the normal stuff they make. This particular entry in that series is difficult to pin down. 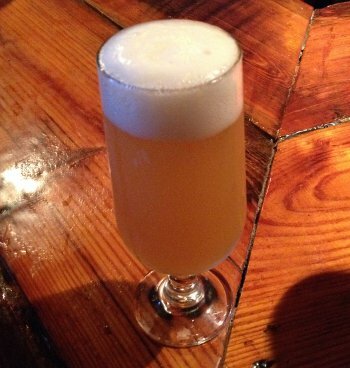 The beer itself says its a saison, and Ratebeer agrees. 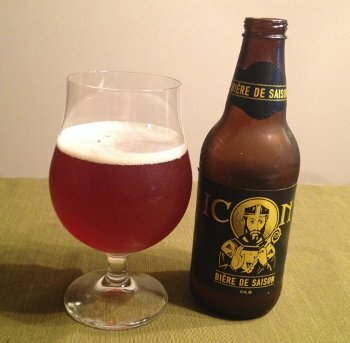 Beer Advocate calls it a Bière de Garde, which isn't entirely inaccurate (it is a more malt-forward take on a farmhouse ale). The label itself sez it combines "the richness of a winter ale" with a saison yeast, which is probably the best description yet. Personally, I found myself thinking "Dubbel" whilst imbibing, though that's not entirely correct either. 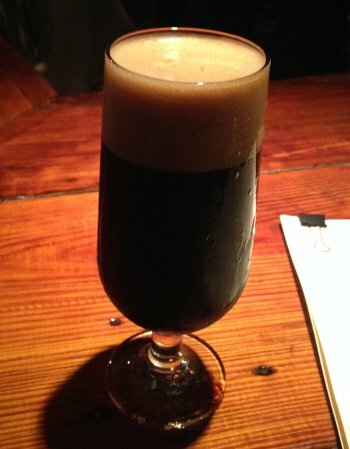 I'll just settle on dark saison because it's not like this sort of style dysphoria hasn't struck before. 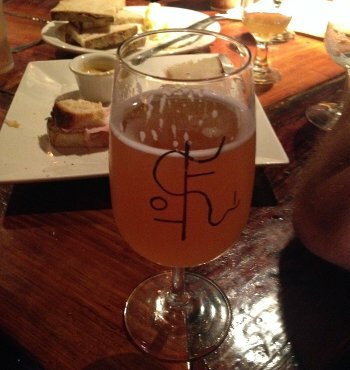 And I kinda love that about saisons. Beer Nerd Details: 9% ABV bottled (12 oz.) Drank out of a tulip glass on 5/16/14.